Watch and share this video on YouTube. Watch to find out what Washington kids think about the ‘Clean Air Rule’ Draft the WA State Department of Ecology has released, after a King County Superior Court Judge ordered them to do so by the end of 2016. Seattle, Washington – On Tuesday, King County Superior Court Judge Hollis Hill issued a landmark decision in Zoe & Stella Foster v. Washington Department of Ecology, the climate change case brought by eight young citizens of Washington State. 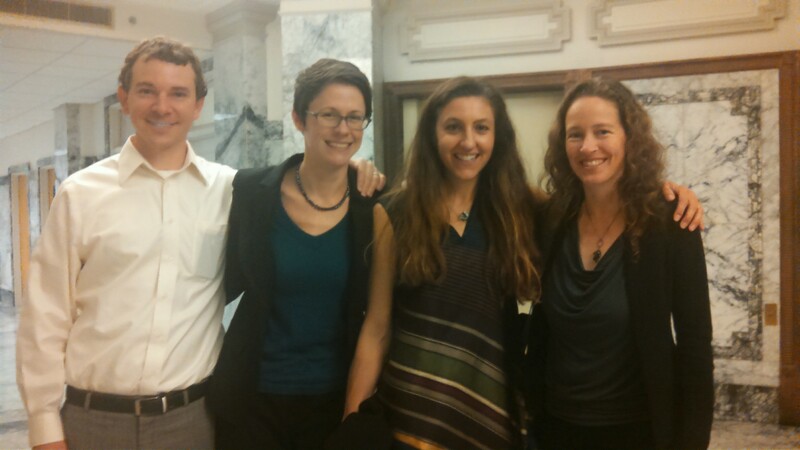 In her decision, Judge Hill ordered the Washington Department of Ecology (“Ecology”) to reconsider the petition the eight youth filed with Ecology last year asking for carbon dioxide reductions, and to report back to the court by July 8, 2015, as to whether they will consider the undisputed current science necessary for climate recovery. Last June, the young petitioners filed a petition for rulemaking to Ecology requesting that the agency promulgate a rule that would limit carbon dioxide emissions in Washington according to what scientists say is needed to protect our oceans and climate system. 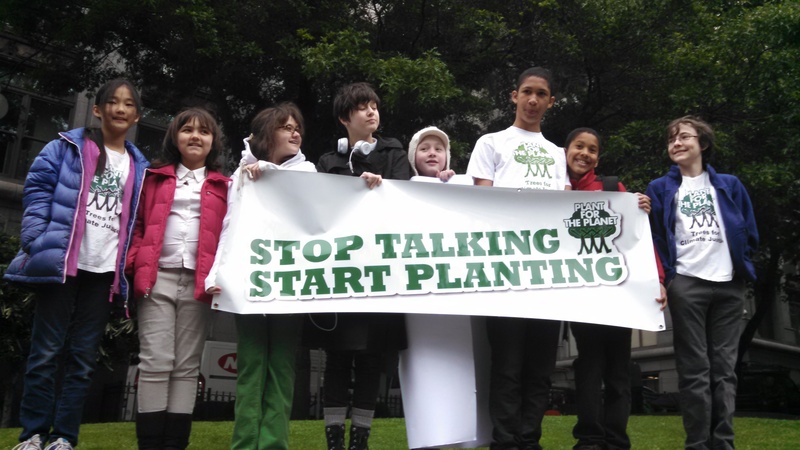 The youth also asked Ecology to inform the Legislature that existing statutory greenhouse gas reductions must be revised based on current climate science. On August 14, 2014, Ecology denied the petition without disputing the underlying scientific bases for petitioner’s plea. Arguing that they have a fundamental right to a healthy environment, and that they are faced with increasing harms posed by climate destabilization and ocean acidification, the young petitioners filed an appeal of the denial to vindicate this right on behalf of themselves and future generations. Ecology has recognized that “we are imposing risks on future generations (causing intergenerational inequities) and liability for the harm that will be caused by climate change that we are unable or unwilling to avoid.” Current climate science finds that atmospheric carbon dioxide levels must be reduced from the current global annual mean concentration of 401 parts per million, to 350 ppm by 2100 in order to achieve climate stabilization and protect our oceans from catastrophic acidification. NOAA, Global Greenhouse Reference Network, Global CO2 for April 2015 (http://www.esrl.noaa.gov/gmd/ccgg/trends/ 1 global.html). Dr. Pushker Kharecha is a climate scientist at the NASA Goddard Institute for Space Studies (http://www.giss.nasa.gov/ 2 staff/pkharecha.html) and Columbia University Earth Institute (http://www.earth.columbia.edu/eidirectory/displayuser.php? userid=1860).